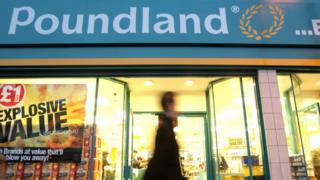 A council has been criticised for offering Poundland a bargain priced rent deal of just £1-a-year. The firm wanted to move out of Nuneaton in Warwickshire after taking over the former 99p Stores unit because it already has two branches in the town. But fearing another empty shop, the council said it offered the £1 deal for two years, which the firm accepted. Retailers have questioned the "drastic action" by the council as some stores struggle to cover their costs. People commenting on social media said the chain should pay more and were worried about the effect on other stores in the town, which already has several empty units, while others welcomed the news. Lisa Zaturowski, director and owner of Caves, a fruit and vegetable shop on Queens Road, said she was shocked and added that she had previously asked Nuneaton and Bedworth Borough Council to reduce her "high" business rates. "I can't believe it. We pay about £2,660 a month [in business rates] and we're struggling to be honest. "We own the building so there's no rent, but we can't afford it which is not good for the town. "I mean, good for Poundland if they can get it...business is business at the end of the day, but they should reduce them for everybody, not just Poundland." James Eaton, manager of Age UK, also on the same road, said he had mixed reactions. "Having a large chain in the town means bigger footfall for all and we all benefit. Alternatively, giving a retailer of that size that type of deal, what advantage does that give? "On balance, there are a lot of empty shops in this town and I grew up here and lots of things have come and gone and it's a very large space that I'm sure the council didn't want empty. "I don't know what happened in that meeting but it's certainly drastic action by the council." A council spokesman said: "If this agreement had not been secured, the council would have been faced with an unoccupied property which would have been unavailable to another tenant whilst the lengthy administration process was being progressed."